Want to serve the Missio student body? Below are the internal positions currently available at Missio Seminary. CLICK HERE to download an application form. Submit to careers@biblical.edu. Missio Seminary has a policy of providing equal opportunity to its employees and applicants for employment without regard to race, color, gender, age, disability, or national or ethnic origin.  Missio Seminary is seeking an Executive Assistant to work in support of the president. This is a full time position with benefits. This person will support the president in the development, implementation, and executive management of the overall direction of the school’s priorities and mission by providing administrative support, assisting in the prioritization of the president’s calendar, and performing a variety of executive support tasks of a highly confidential and sensitive nature. These include, but are not limited to, serving as a communication liaison between the president’s office and other constituents, and coordinating and managing activities of the president in relationship to the board, cabinet, faculty, and staff. This individual will assist the President by serving as project manager for relocation and other special projects. Other duties will include assisting the controller by providing support in such areas as human resources and accounts payable. A candidate for this position must be a maturing Christian who desires to help Missio achieve its mission, who will represent the president and the seminary with excellence, who has a high capacity to initiate projects and actions with minimal direction, who has demonstrated discretion, tact, confidentiality, and good judgment, who has good computer skills (preferably with Microsoft Office) and enjoys working collaboratively. The Graduate Counseling Program at Missio Seminary is seeking a full-time assistant or associate professor beginning July 1, 2019 with the qualifications to teach across the Clinical Mental Health Counseling program. Responsibilities of this position include teaching graduate-level courses at the master’s level, supervising practicum and internship experiences, advising master’s level students, engaging in scholarly activities, and providing service to the department, the seminary, and the counseling profession at the state, regional and/or national level. A master’s degree in counseling, theology, divinity or closely related. A strong background in multiculturalism, diversity, theological and biblical foundations, and a strong teaching, supervision and clinical record are also required. This is a full-time position with benefits. Salary is competitive and commensurate with experience and qualifications. Applications will be accepted until the position is filled and reviewed on a rolling basis. Missio Seminary is seeking an Associate Director of Development for our Development office. Under the supervision of the director of development, the associate director will serve as an important member of the development team at Missio, provide leadership for the seminary’s broad-based solicitation strategies in order to strengthen our relationships with donors and expand our base of financial and prayer support. The primary focus of this position is to support all functions of the development office and to help meet the annual giving goals. Self-motivated and able to solve problems while also a team player who values constructive direction. Handles all work with professionalism and confidentiality. Able to complete several projects simultaneously to meet required deadlines. Good interpersonal skills, including the flexibility to provide support where needed. Extensive computer skills, particularly with Microsoft Office products, Jenzabar (the seminary donor management software) and standard office equipment. Willing and able to learn new software as needed. Able to communicate well orally and in written forms. Work closely with the director of development to establish goals, form strategy, and achieve fundraising objectives for Missio Seminary. Provide general administrative support to the director of development and development office. Serve as a member of the development team to establish fund raising goals and create strategies to meet those goals. At least annually, provide leadership for a seminary-wide “thank-a-thon”. Annually publish Missio Magazine and other publications as needed. Working in tandem with the director of development, prepare, edit, and deliver foundation proposals and assist with reporting on foundation grants as needed. Working in tandem with the director of development, publish an Annual Report. This is a part-time (24 hours per week) position. Contact careers@biblical.edu for a full job description. We are always looking for volunteers to serve at Missio Seminary. Contact our HR Office directly if you are interesting in serving. (4/3/2019) – Central Schwenkfelder Church is seeking to fill a part-time Maintenance position. Candidates should be able to lift moderately heavy items such as 8 foot tables, a keen attention to detail as well as good people skills. Responsibilities include, but are not limited to, daily maintenance & cleaning of the church, office and community center as well as set ups and tear downs. Also included are monitoring events in addition to Audio Visual set ups, if needed. If you are interested in this position, please call the church office at 610-584-4480, check out our website (www.cscfamily.org) or Facebook page to fill out an application and submit with your resume, if you have one, to Leslie Reyburn-Shisler at lreyburn@cscfamily.org. (4/4/2019) – Korean United Church of Philadelphia (KUCP) is looking for a full-time Pastor to build and lead the English Ministry (EM). KUCP is an evangelical, reformed Presbyterian church that exists for the glory of God and the good of Philadelphia metropolitan area, located on the nexus of the city and the northern suburbs. While the church is historically and ethnically Korean-American, the church since its inception has been a member of the Philadelphia Presbytery of the Presbyterian Church of America (PCA). The average worship attendance of the Korean-speaking congregation is around 600 and of the English Ministry is around 20 during school year and 35 during summer due to college members. We are gospel driven, Christ-centered and positively Reformed with a strong emphasis on discipleship and service. Ordained in the Presbyterian Church in America or a theologically congruent denomination. Must have at least two years (four or more is preferable) of pastoral experience leading an English adult and/or education ministry. Evident gifts and experience in preaching, gathering/relationship building, discipleship and evangelism. It is also desirable for the candidate to have had some experience in a cross-cultural setting especially Korean or Asian culture. (A working knowledge of the Korean language is preferred but not required.) Supportive of the philosophy and vision of KUCP. Aligned with the Westminster Standards (Confession of Faith, the Larger and Shorter Catechisms). Plan and conduct Sunday worship services for EM. Provide pastoral care to the EM congregants and staff. Develop and lead effective programs towards spiritual growth for the EM congregation and Education department. Work with the senior pastor, staff pastors and elders in its strategic planning initiatives and programs. Train and develop servant leaders. To be able to lead EM’s community group(s). Initiate and conduct evangelistic outreach. Work closely with the elders and deacons and report to the Senior Pastor of KUCP. References will be requested after initial contact. For those ordained in the PCA, feel free to send your Ministerial Data Form. Why are you are interested in this position? What is your vision of a healthy church? We hope to be able to fill the position as soon as possible. Salary range for the job is $62,750-$65,750/year (salary includes health care subsidy) depending the experience of a candidate. (4/4/2019) – Gracepoint Church (PCA) seeks a Senior Pastor that can clearly preach and teach the whole of Scripture in a way that glorifies the Triune God. Effective teaching will naturally exhort our members to practically apply Scriptures for their spiritual development thus carrying out the Great Commission in our communities, workplaces, and homes. Together with the Session, the senior pastor will provide leadership, oversight, and support to the leaders, staff, and church body. Gracepoint seeks a shepherding leader that can mobilize our congregation as disciples of Christ that will go out to reach and share the gospel with our communities and the world beyond our borders. Facilitate monthly leadership meetings. Committee leaders, staff, Session, and diaconal representatives will provide their respective updates during meetings. Along with the Session, provide biblical counseling to members, as needed. Oversee and hold membership classes, work towards integrating all members and attendees into the body of Christ and growth groups. Model and exhort members towards a deeper prayer life. Partake in the monthly morning prayer meetings. Explore and pray for the possibility of Gracepoint’s next church plant in the future. (4/4/2019) – Chelten, a Church of Hope, seeks a Senior Pastor of Worship to join the Pastoral Leadership Team (PLT), which includes three pastors who have equal authority and work collaboratively to lead the day-to-day operations of the church. This structure provides for mutual accountability among team members. Responsibility for oversight of church ministries is divided among the three members in a way that best matches their gifts and passions. The PLT collaborates on all significant matters affecting the vision and direction of the church. The PLT is subject to the authority of the Board of Elders of which the senior pastors are members. Learn more about Chelten, a Church of Hope, at www.chelten.org. Contact Karen Shine (ksserving@aol.com) for more information or to apply. (4/2/2019) – Hope Evangelical Free Church in Matamoras, PA is currently seeking a part-time youth leader. Hope Church is a growing church located along the Delaware River where PA, NY and NJ meet. Our hope is to hire a born again believer who has had training in youth ministry and has a heart for making youth disciples who will have a heart to make disciples. Provide 3 letters of recommendation, one being from your pastor. (4/1/2019) – Greenfield Baptist Church is looking for a Youth Director/Pastoral Assistant. They are seeking a person with an intimate relationship with Jesus Christ and a desire to share that with young people. This person should be able to recognize potential leaders and provide opportunities for their training and growth. They will lead the Youth Ministry Team, Children’s Ministry Team and possibly a program for our Young Adults. They will also need a desire to lead others to make decisions for Jesus Christ. There is a need in our congregation for some music leadership, this would be helpful but not required. (4/1/2019) – Brick Lane Community Church seeks a full-time Pastoral Assistant of Youth and Young Adults to handle primary teaching and discipleship responsibilities for Senior High student ministry, and oversight for teaching within the context of young adult ministry. Provides leadership and direction to both volunteer ministry teams under the direction of the Associate Pastor of Shepherding Ministries. (3/28/2019) – New Life Bible Fellowship Church is actively looking for a Senior Pastor who will be responsible for promoting and maintaining the mission of New Life Bible Fellowship Church (NLBFC), which is to Glorify God, Introduce People to New Life in Christ, and Grow Together toward Maturity in Him. In this capacity, he must be a humble leader that creates a collaborative team environment among the church’s ministry leaders and staff. He is the primary shepherd of the congregation and staff, whose focus is deepening discipleship through the expository teaching of the Word, pastoral counseling, and working with the elders and pastoral staff to set the direction for all aspects of the church. We are a Bible Fellowship church with an average attendance of 425+ located in Oley, Pennsylvania approximately 55 miles from Philadelphia, in southeastern Pennsylvania. Our staff also includes an Executive Pastor, Youth Pastor, Director of Children’s Ministry, Director of Worship Arts, and five other full and part-time staff members. If you are New Life’s next Senior Pastor, you will have and MDiv or related Bachelors with equivalent experience; at least five years of church experience, ideally as an expository teaching pastor, or in an executive/associate role; ordination and credentials in the Bible Fellowship Church, or the ability to obtain them. You will also be in agreement with the Faith and Order of the Bible Fellowship Church. If this makes your heart beat a little faster, you just might be a good fit for us. Please visit our website for more information as well as the application process. (posted 3/22/2019) – Oreland Evangelical Presbyterian Church seeks a part-time Facilities Manager to oversee the day-to-day operations of the facilities and their systems. Responsibilities include facility repair and maintenance, and contractor administration and oversight. Proficiency in Microsoft Word, Excel, and email. Interested candidates should email their resume to personnel@orelandpres.org. Participate in staff meetings and training as well as Denominational training events. Establish a creative planning team to design worship services and special creative elements, i.e. drama, faith stories, spotlighting announcements, etc. For more information or to apply, contact Dave Helmuth. (3/20/2019) – Oxford Presbyterian Church is seeking a Transitional Director of Spiritual Formation (full-time, 6-month renewable term). Located in downtown Oxford, PA, the congregation views its neighborhood as its primary venue for ministry. The worshiping body averages about 170 people each Sunday, representing a diverse array of viewpoints, ages, and life circumstances. As the spiritual home to a number of young families and located just steps away from a large retirement community, OPC desires to better facilitate the discipleship and spiritual formation of all ages. A passionate and contagious faith in Jesus Christ. A familiarity and general agreement with Presbyterian polity, Reformed theology, and the denominational identity of the Presbyterian Church (USA). A bachelors degree (Masters preferred) with an emphasis in Christian Education,Children’s education, or a related field. Collaborate with the Pastor/Head of Staff, Christian Education and Worship Committees, and other volunteers on a strategic plan for the spiritual formation of persons of all ages. Serve as primary coordinator of the youth group ministry. Identify and develop opportunities for the participation of children and youth in worship in coordination with the Pastor/Head of Staff. Develop a communication strategy for keeping program participants, their families, and the congregation informed and engaged in the congregation’s ministries of spiritual formation. Aid in ensuring all required clearances are filed, trainings completed, and security and safety protocol are enacted. Cover Letters and Resumes (or PIFs) may be sent to: staffingOPC@gmail.com. CLICK HERE for the full job posting. (posted 3/14/2019) – Plymouth Christian Church is in the process of obtaining a minister. We have been in existence for 193 years, and we follow the guidelines of the Disciples of Christ. Our congregation is small in numbers but dedicated to one another in community and world outreach. Anyone who has any interest please contact the Church Search Committee at PlymouthChristianChurch@gmail.com. (3/7/2019) – LCPC is looking for a Senior (Lead) Pastor to inspire our journey through biblically grounded teaching, supporting and raising up lay leaders, setting a tone of caring for each other, and overseeing the work of those who manage the administrative elements of our congregation. The Senior (Lead) Pastor is the “Captain of the ship” and is accountable to the Administrative Committee of the Session to ensure all aspects of the ministry are healthy and properly aligned to accomplish the mission and vision of LCPC. Prepare weekly worship experiences for the traditional and contemporary venues that includes an accurate, culturally relevant presentation of the gospel in a spiritually and intellectually compelling manner to future, new, and mature believers. Inspire and support Bible studies and other programs directed at stimulating spiritual growth and the practices of spiritual disciplines. Consistently communicate to the congregation a Kingdom mindset and a visible vision (tangible and attainable). Accomplish this by mobilizing staff, committees, and volunteers at all levels, to create catalytic events and programs that stimulate church growth and expand LCPC’s outreach into the community. Oversee the development and implementation of a session-approved three-year strategic action plan. Supervise the consistent recruitment, training, and replication of lay leaders, including Session members. Model and replicate a sense of genuine fellowship (koinonia) within the congregation, staff, and leadership. Equip the body to anticipate and lovingly meet the needs of each other whether pastoral, spiritual, material, or emotional. Radiate a loving attitude to and for our local communities. Encourage and ensure the proper supervision and development of all staff. Monitor the financial and physical health of the church property and systems with the support of appropriate staff and teams. DO NOT contact the Liberty Corner Presbyterian office directly. (posted 2/14/2019) – We are seeking a fervent Christ-follower who is called to youth ministry and ready to give leadership to a growing youth ministry that includes middle and high school aged youth and possible ministry with young adults. We want to see our youth experience and know Jesus, develop a strong foundation in God’s word and become strong in Christ-like character equipped to share his love with others in ways that are relevant to changing society; equipped to be agents of change, transformation and reconciliation in the world. Passionate commitment to Jesus Christ, exemplary in character and calling, energetic and enthusiastic. Training and experience in youth ministry. Able to teach the Bible in a way that engages youth and helps them grow. Able to teach Anabaptist theology and values. Plan and implement youth ministry relevant to today’s youth. Recruit, train, and give oversight to youth advisers and volunteers. Develop strong relationships with the youth. Help youth develop as leaders. Outreach to youth outside the church. Help organize fun activities and adventures for youth! Oversee administrative and organizational needs of the youth ministry. Possible oversight of Vocation as Mission (VAM) a summer intern program for young adults. Please send an email describing your call to ministry and why you feel that you would be right for this role along with your resume and a short video (two minutes or less) in which you introduce yourself to: churchoffice@soudertonmennonite.org. Please put “Attn Youth Pastor Search” in the subject line. (posted 2/13/19) – Grace Presbyterian Church is seeking a Director of Ministry to Children and Families (DCM). The purpose of this position is to provide spiritual and organizational leadership to Grace Presbyterian Church’s ministry to children and families, birth through Grade 5. The DCM will be supervised by the Associate Pastor and will be accountable to the Session through its Personnel Committee. The DCM will meet monthly with the Children’s Education Team. This is a 20 hour/week position, including Sunday morning. Some of the work with volunteers will take place outside the traditional workday. Work with the Children’s Education team to develop and implement a vision and annual goals for the church’s children’s ministry. Provide direction and coordination for the Sunday School program. Provide direction and coordination for Vacation Bible School. Work with the Children’s Education Team to recruit, train, supervise, and encourage leaders, teachers, and helpers in the church’s ministry to children. Provide encouragement and administrative support for ministry to children beyond Sunday School and VBS (including existing programs such as the Advent Workshop and children’s musical and new programs). Recruit, hire, train, and supervise Sunday morning nursery attendants, in communication with the Personnel Committee. Maintain adequate and organized supplies needed by all children’s ministry programs. Develop or oversee the development of timely and effective communications to promote congregational and community awareness, interest, and involvement in Grace Presbyterian Church’s ministry to children. Oversee and ensure compliance of all children’s ministries with the church’s Child Protection Policy. Work with the Children’s Education Team to develop and propose an annual budget and to review and manage that budget throughout the year. Serve as liaison with the directors of the children’s choirs. Develop and implement quarterly events for children, parents, and/or families. Develop and implement programming for children surrounding the Grace Fellowship dinners. Experience working with children and their families and organizing volunteers in Christian ministry is required. Working knowledge of Sunday school curricula and structure is preferred. Related college or graduate study is helpful. (posted 2/11/2019) – MANNA CHRISTIAN FELLOWSHIP (Manna) is a dynamic and vibrant evangelical, inter-denominational chaplaincy at Princeton University focused on thoughtfully engaging the pluralistic university community with a coherent worldview grounded in the Christian gospel. Manna seeks a qualified individual to be the Executive Director (ED) for this thriving organization of approximately 80-100 students and 500+ alumni. Under the auspices of Manna’s Board of Trustees, the ED will be responsible for creatively casting and strategically implementing Manna’s mission to “develop and engage a gospel worldview.” The ED will supervise a staff consisting of a full-time Campus Director (CD), full-time Development Manager (DM), as well as other full-time Ministry Fellows (those conducting year-long internships with Manna). The ED is the staff liaison to the Board and the primary means through which the Board ensures that Manna is fulfilling its organizational mission. The responsibilities of the ED fall into two categories: Ministry Oversight and Organizational Growth. It is anticipated that the ED’s time will be divided equally between these two responsibilities. 2. Organizational Growth: In addition to providing oversight to Manna’s current ministries as described above, the ED will work with the Board and staff to vision-cast for the Strategic Plan and spearhead its implementation. Manna’s main objectives over the next 3-5 years will be in the areas of development, alumni, and leadership. Candidates should have at least 5 years of experience, with at least 2 years of experience in campus or church ministry. Other experience can be in nonprofit, government, or business contexts. Ideal candidates should be self-starters, have an entrepreneurial spirit, are comfortable leading and equipping staff and student leaders, and be eager to combine ministry backgrounds with development and organizational growth. Candidates must also model excellence in their personal and vocational lives, with demonstrated gifts in spiritual leadership and mentoring. Manna values its community orientation, and the ED should be able to foster a grace-centered community through active involvement in the lives of students. Other necessary qualities include: ability to learn quickly, excellent written and oral communication skills, developed management skills, proactive communication habits, passion for the university and students, and intellectual grasp of the strategic role of the university in our culture. Candidates should be spiritually mature Christians with a devotion to Scripture and prayer. Bachelor’s degree required. Master’s-level degree in theology or ministry also required, with a firm grasp of and appreciation for Reformed theology. Ordination or licensure in a recognized Reformed Protestant denomination is preferred but not required. Compensation will be competitive and commensurate with experience and training. Position is located in Princeton, NJ. Preferred start date is July 2019. Interested applicants should send a cover letter and resume to Andrew Protain, the Chair of the Manna Board (mannaboard@gmail.com). (posted 2/6/2019) – The pastor shall serve the Lord by serving the congregation of Grace Fellowship of Steelton in shared ministry with the other elders of Grace Fellowship. His primary responsibilities shall be to provide leadership to the congregation through the preaching and teaching of the Word of God, and, along with the other elders of the church, oversee the pastoral care and discipleship of the congregation, and lead the body of Christ through a shared vision as a local representation of the Kingdom of God. This is a part-time position with the expectation of 25-30 hours per week being spent in pastoral ministry. For more information or to apply, contact the church at gracesteelton@gmail.com or 717-982-6779. (1/22/2019) – Are you called to work in Christian urban missions with homeless women and children? The Sunday Breakfast Rescue Mission exists to minister in the name of Jesus Christ to the spiritual and practical needs of the disadvantaged in the Philadelphia area. Wayne Hall is seeking a House Manager/Case Manager, which is a full-time position. Homemaking, leadership, and administrative skills required. Position involves Cooking, Case Management, Bible teaching, and Christian discipleship. Driver’s license required. Minimal education requirement of HS diploma. Benefits included. This is not a live-in position. For more information, contact Rita Whitaker at 267-982-7792 (NO TEXT SERVICE). (updated 1/22/19) – Park Road Presbyterian Church is in an extremely unique season of ministry. Founded in 1814 as First Presbyterian Church of Reading, we’re preparing for a brand new season of activity as we move into a new building in a more suburban area of the region. Our move brings an opportunity to engage young families and students with the gospel of Jesus Christ, and we are eager to see our church family revitalized through this endeavor. The Assistant Pastor for Student and Family Outreach is charged with providing leadership in ministry to Middle School and High School students directly, and their families by extension, further developing Park Road’s reach into the community. The right candidate will have at least a bachelor’s degree in Christian ministry or other related field, and is preferably seminary trained; previous experience is also preferred. The position requires strong organizational, communication, and relational skills. The Assistant Pastor will work closely with the Senior Pastor, developing and implementing a unified vision for outreach and ministry to students and their families. Other duties may be included in the job description as gifting and capacity allow, such as preaching, counseling, and specific ministry oversight, including missions, discipleship, and outreach. Timothy 3:1-12 and Titus 2:1-13.
excellence in all facets of the job. philosophical and theological identity of Park Road, including our commitment to Reformed theology, the centrality of God’s grace in salvation and sanctification, and our desire to help all people worship fully, learn humbly, and love extravagantly. This position is for an Assistant Pastor of Student and Family Outreach, meaning the candidate is accountable to the Session and to the Senior Pastor as Head of Staff. Please briefly share the story of your conversion and maturation in faith. Describe your approach to connecting with unchurched students and families, and share examples of how you’ve done that in your present ministry context. Describe your approach to forming relationships with church students and families, and share examples of how you’ve done that in your present ministry context. Describe your personality, your strengths, and any areas of desired growth. (posted 1/22/2019) – Grace Baptist Church is seeking a new Pastor. Grace Baptist Church is an independent, Bible-believing church situated 1/4 mile north of Mr. Pleasant Mills, Pennsylvania. Mt. Pleasant Mills is approximately 45 miles northwest of Harrisburg. We are located in rural Snyder County, which by the 2000 census report has a population of 37,564 people with 9,981 families. Our congregation is an agrarian group of people whose income comes largely from farming and lumbering. The church had its beginning in Paxtonville, another small community in Snyder County, in the 1950s. It was relocated to its present location in the early 1960s; the structure having been built by the Pastor and men of the assembly. In the 1980s, another building was built which was used for a school, but it is now being utilized as a fellowship building and as classrooms for our children and teen classes. At the present time, we have a Sunday morning service with an attendance of 40 to 50 people with the majority returning for Sunday evening and Wednesday evening services. This group includes 9 children and 13 teens. We have no Sunday School but do have a children’s class and teen program on Wednesday evening. We function with eldership rule. We take a strong position on divorce and remarriage, versions, and contemporary Christian music. We are not sympathetic to Reformed Doctrine. Our entire budget for 2018 is $36,780, with a pastoral salary at $24,000. The church has no parsonage but will help look for reasonable housing. For more information or to apply, contact the church at churchoffice@gracebaptistpmp.org, or 570-539-4131. (posted 1/22/2019) – Line Lexington Mennonite Church, a multi‐generational congregation, is searching for a full‐time Senior Pastor with a clear calling from God to lead our church well into the future. We are seeking a dynamic leader and skilled bible communicator with the energy, enthusiasm and passion to preach the word of God in purity, power, and relevance for our every‐day lives. To provide overall leadership for the ministry leadership team; to be the primary vision shaper and communicator of God’s word in collaboration with the Elder team and volunteer leadership team. Has successfully completed an undergraduate degree with subsequent accredited biblical training and a proven record of pastoral experience of at least 3 years. Send resume and attachments to Betsy at searchteam@centerconsulting.org. DO NOT contact the Line Lexington Mennonite Church office directly. (posted 1/22/19) – The Pastor of Community Outreach is a member-elected, full-time (paid), staff Elder position, who, through a spirit of teamwork, serves alongside any other staff Elder and the elected, volunteer Elders. The individual filling the role must meet the qualifications described in the Elder Job description. In addition, the Pastor of Community Outreach must meet the qualifications and will be accountable to the specific responsibilities detailed within this profile. Preaching – The Pastor of Community Outreach will coordinate with other staff and/or volunteer Elders, in the teaching and preaching of God’s Word at services administered by Grace Chapel. This will be approximately 50% of the shared teaching/preaching responsibility. Small Groups – The Pastor of Community Outreach will lead the coordination, formation, and maintenance of small groups within the church. Community Outreach – The Pastor of Community Outreach will take the lead in establishing positive connections with local church and municipal leaders. Counseling – The Pastor of Community Outreach will be available for and engage in biblical counseling for the Grace Chapel and local communities, according to availability in conjunction with all other responsibilities. Intergenerational Ministries – The Pastor of Community Outreach will, in coordination with any other appropriate staff or volunteer Elder, plan, interact, and encourage an intergenerational model of ministries. Equipping – The Pastor of Community Outreach will, in coordination with any other appropriate staff or volunteer Elder, equip, empower, and release the church body to fulfill ministries. The Pastor of Community Outreach is responsible to, and will serve in collaboration with the volunteer members of the Board of Elders. (posted 1/14/2019) – Bridge Community Church (BCC) of Easton is looking for candidates interested in applying to serve as LEAD LEADER & PASTOR. Mike Hollenbach, the original church planter since 2010, will be stepping down no later than January 2020, possibly sooner depending on this search process and the calling of a new lead leader/pastor. Besides a much fuller SEARCH PORTFOLIO which the BCC leaders have put together and which will be sent/emailed to you upon request, here are a few quick ‘bullets’ to help fill in the calling and context. BCC is very DIVERSE group of churched, unchurched, de-churched and non-followers of Jesus. Our diversity is not only ethnic, but socio-economic, age, education, etc. Our current size is about 60-70 adults and children. BCC is LOCATED in Easton PA, the County Seat of Northampton County and the smallest of the three cities which makeup the Lehigh Valley. Though surrounded by and even drawing from varying levels of affluence, BCC has chosen to meet formally and focus much of its ministry in the West Ward of Easton, allowing for many opportunities of not only word ministry, but also deed ministry. BCC’s VISION & PHILOSOPHY of MINISTRY is to be a Christ/Gospel-Centered Church which is expressed in our growing in 1) our communion with Jesus… 2) our community as we one-another… and 3) our co-mission as we try and bless the world around us! We tend to be reformed in our theology, missional in our thinking, and PCA in denominational affiliation. FINANCIALLY, this position will require support raising that will be supplemented by BCC’s tithes and offerings. If you have further interest please email Maria Wenner (maria.wenner@basf.com) and cc Mike Hollenbach (mhollenbach.bridge@gmail.com). If you have not seen BCC’s ‘search portfolio’, the documents will be mailed to you. (posted 1/7/19) – Gracepoint North Church is seeking to call a Part-Time Pastoral Intern, with a focus on youth ministry. The initial call will be part-time staff, with a view toward converting the call as the Lord provides. We are looking for an intern who is willing to learn and be mentored in church planting ministry. They will be given many opportunities for hands on experiences in various different ministries, along side opportunities to preach and teach. Alongside this mentored ministry, we have the current need to focus on building a youth ministry. The youth ministry is in its very early stages with only a few students. However, our continually growing children’s ministries will eventually need further specialized staff for this ministry. Displays leadership capacity compatible with Gracepoint North. Gracepoint North is a church plant from Gracepoint Church. In a time when more churches are closing than opening, our church finds its calling to plant a new church to serve the northeastern part of Montgomery County in North Wales. By planting churches, we believe we will reach more people with the transforming gospel of Jesus Christ to fulfill the Great Commission. The mission of Gracepoint North is to build a multiplying Gospel-centered community that is faithful to the Great Commandments (Matthew 22:36-40) and the Great Commission (Matthew 28:18-20). (posted 1/2/2019) – Sacred Sector Fellowship empowers seminarians to explore their sacred calling in the faith-based nonprofit sector. Each Sacred Sector Fellow will receive a $5,000 stipend for their participation in the ten-week program. The fellowship begins with a five-day immersive learning experience to explore important topics that uniquely impact faith-based nonprofits. From there, Sacred Sector will partner each fellow with a faith-based nonprofit in Grand Rapids, Michigan where they will serve with as a strategic consultant over a period of nine weeks. This will allow participants to gain hands-on experience in developing and applying the skills and knowledge they have acquired. (posted 1/2/2019) – The Christian Study Center (CSC) in Gainesville, Florida is seeking an Associate Director for Educational Programming with a calling to bring together students, faculty, and community members to explore the intellectual and cultural resources of the Christian tradition in order to address enduring human questions and respond to challenges created by contemporary culture. The ideal candidate will have relevant education and experience and thrive in an environment that seeks to be the embodiment of a Christian understanding of work, relationships, culture, and all of life. The ideal candidate will value collaboration and support among members of the CSC and the general community. The Associate Director for Educational Programming (ADEP) is responsible to shape, oversee, and administer the Christian Study Center’s educational program. This includes in-person large and small group gatherings, written materials, and online content. This person will develop, administer, and promote the CSC’s educational programming to general audiences and to the University community in accordance with the CSC’s vision and mission statements under the supervision of the Executive Director (ED). The person in this role will also help shape the vision and strategy for the CSC educational program. He or she will develop an annual program of public lectures, seminars, and small groups in concert with the Executive Director. The regular responsibilities of this position include oversight of graduate student formation, undergraduate student formation, and clergy and campus minister programs. While the ADEP will be expected to teach, in many cases he or she will not be teaching or leading discussion, but instead must be adept at drawing in good local leadership for these programs from among clergy, laypeople, faculty, and graduate students. Along with local programs, the ADEP will promote the Study Center’s work through print and online publications. The Center’s scholarly publication Reconsiderations will be his or her responsibility (with input from the ED) and the newsletter Under Consideration will also benefit from the ADEP’s involvement (in collaboration with the Director of Development). The ADEP will also help the Center to disseminate programs online (in text and audio format) for alumni and a broader audience. Finally, he or she will oversee the administration of the Christian Study Center’s key extension of hospitality to our neighborhood, Pascal’s Coffeehouse (supervising its full-time manager). This includes programming for The Barista Society, a spiritual formation program focused on serving the employees of Pascal’s. The ADEP will also be engaged in regular collaboration as a staff member of the CSC (attendance at staff meetings, assistance with miscellaneous duties, etc.). The ADEP must have at least a Master’s degree in a field that would prepare them to lead discussions related to ideas, texts, and culture, and to help build and sustain programs that continue to generate such conversations. The ADEP must be committed to a Christian understanding of life and culture, affirming the historic creeds and engaged in the life of the local church. The ADEP must be a gifted teacher. Employment with the CSC is also contingent upon background check. Persons interested in applying for this position should send application via email to info@christianstudycenter.org. The required application materials include: Cover letter with a description of your qualifications and vision for the position, evidence of teaching effectiveness, philosophy of education, résumé/CV, and contact information for at least three references. Any questions should be directed to the Search Committee Chair Nick Dunn (nicholas.w.dunn@gmail.com). (posted 12/14/2018) – Tri-Valley Presbyterian Church is seeking a full-time/part-time English Ministry Pastor. Tri-Valley Presbyterian Church is located in Pleasanton, CA. We have been in the Tri-Valley area for over 35 years. The Church consists of both a Korean and an English Ministry. We are looking for someone who can lead the worship, discipleship training, bible studies and support our continued growth in faith of our Savior and Lord, Jesus Christ. The English Ministry Pastor will work closely with the Session of the Church. Have a strong personal relationship with Jesus Christ. A Bachelor’s degree in Bible and Theology; OR a minimum of three year’s experience leading worship. A desire to lead others into a transforming encounter with God. Demonstrate ability to teach and lead a discipleship training. Design worship services, in line with the vision of the Lead Pastor. Lead the Worship services including the Praise Ministry. Research and manage resources available for the growth of the ministry. Lead the Discipleship Training to equip new disciples. Design the Small Group curriculum and train the leaders to effectively lead the teams. Provide English sermons during Church-wide Joint Worships on special services (i.e. Easter, Thanksgiving, Christmas, etc.). Provide support to the Media and Communications Ministry as it pertains to the worship service. Recruit, train, motivate, and connect volunteers with appropriate service and growth opportunities within worship (i.e. worship team, praise team, fellowship ministry, welcome ministry and finance team). Coach individuals and make disciples of Christ. For more information or to apply, contact Stephanie Lee at stephanielee1999@yahoo.com or 650-387-8010. (posted 12/10/18) – Maple Grove Mennonite Church is seeking a qualified individual to serve as Lead Pastor in the greater Atglen, PA community. Candidates interviewing for this role will be characterized by love for God and neighbor, a love for the community and for people of all races and walks of life. This catalytic, servant leader will lead our congregation to greater love of God and neighbor in our community. This is a transition role, starting alongside our current Lead Pastor, working with him and the Leadership Team toward a smooth transition to Lead Pastor. Express devotion to God and His mission in the world. Exhibit practical, redemptive, relational leadership and accountability to the Leadership Team, LanChester District and LMC’s accountability structures. Foster relational health among the Leadership Team and the congregation. Invest in spiritual formation/discipleship through the Word and the Spirit. Provide vision as he leads the Leadership Team in discernment and decision making. Guide the Leadership Team in “equipping the saints for the work of ministry, for building up the body of Christ” (Ephesians 4.12-16). Oversight and/or personal provision of the requirements of the pastoral office: baptisms, weddings and funerals; “caring for widows and orphans in their distress” (James 1.27). A disciple of Jesus Christ with evidence of excellent moral character and sound judgment in personal, family, and spiritual life. A disciple who exhibits true devotion and worship to God the Father through Jesus Christ our Lord. A leader who demonstrates fruit and anointing of the Holy Spirit. Catalytic, “big-picture” leader with a shepherd’s heart who exhibits agape love for persons of all ages, races, and walks of life. Expresses a passion to see lives transformed by faith in Jesus Christ and share the beauty of Jesus with others. Passionate about evangelism and community outreach having mercy and compassion for the de-churched and unchurched in the local community. A gifted communicator with the ability to approach all people with trust and love. Exhibits the same openness and approachability in return. Pastoral experience with the gifts of teaching and preaching with noted interests in discipleship, multiplication and mission. Possesses potential strength and gifting in administration, leadership, and team-building. Exhibit a commitment to oneness and unity with existing Leadership Team members. Credentialed or willing to be credentialed through LMC, a fellowship of Anabaptist churches. Serge is a non-profit, mission-sending agency dedicated to sharing the gospel of Jesus Christ and bringing positive transformation to communities worldwide…and we’re growing! To respond to the increased demands, we’re seeking a full-time Accounting Assistant to join our Finance Team. The qualified applicant will have a background in accounting / bookkeeping with payroll processing experience, solid understanding of GAAP, effective interpersonal skills, and a servant’s heart. Position is full-time with benefits (and does not require fund-raising). Prepares and posts adjusting entries, journal entries. Imports contributions daily; processes closing-out procedures monthly and yearly. Initiates payroll and transmits pay-advance wires. Performs benefit calculations, deductions, payments, and deposits. Responds to emails and calls from overseas staff pertaining to support-funds, donations, payroll and taxes, rent and utilities, expense reimbursements, etc. Analyzes field staff requests, provides resolution and/or refers to appropriate office staff. Records and facilitates stock transactions in donor system and maintains subsidiary ledger. Reconciles donor and accounting systems. Produces reports of accounting, payroll, budget, donors, overseas projects, etc. Prepares fund-raising budgets for overseas staff. Wires project funds to overseas staff and other payees. Assists field staff in coding setup and recording project expenses. A personal commitment to Jesus Christ with a genuine desire to work in a dynamic, mission-driven environment and to apply one’s knowledge, skills, and abilities to advance the Gospel. In work and interactions, demonstrates commitment to Serge Vision, Mission and Values. Minimum 3 years background in accounting / bookkeeping with payroll processing experience and comprehensive understanding of Generally Accepted Accounting Principles. Excellent computer skills & mastery of MS Excel; familiarity or strong aptitude for learning web-based software, databases, and payroll systems, e.g. Access, Donor Direct, SalesForce, Concur, Paycom. Proficiency in operating 10-key adding machine by touch to perform arithmetic computations. Exhibits grace and good judgment in handling competing tasks, demands, and deadlines. Dependable team player with high attention to detail who consistently follows through to completion. Clean FBI and child protection background check. To apply, send resume and cover letter with salary requirement to Anita Wessner at HR@serge.org. For more information about our mission agency, visit www.serge.org. twenty hours per week (and does not require fund-raising). Coordinate with Member Care team and new staff to meet payroll and deployment deadlines. Utilize Paycom HRIS to onboard all new employees and deploy overseas-bound staff. Guide eligible employees through benefit enrollment process. Review claims and coordinate with members and insurance carriers to resolve issues. Coordinate with finance in reconciling benefit invoice billing. Manage Paycom HRIS and assign/track task checklists; maintain and update data. Add new staff to SalesForce database; maintain/update data and generate reports. Maintain HR metrics and statistics. Manage social security totalization applications, amendments and notifications. Assign and track company policy acknowledgements and updates. Provide employment verification letters and visa-related documents. Degree or background in human resources, paralegal, accounting or related field. Strong technical and analytical abilities; highly organized; values efficiency and functions accordingly. Effective and thorough communication, especially written, demonstrating mastery of good writing. Excellent computer skills & mastery of MS Word & Excel; familiarity or strong aptitude for learning web-based software, HR-payroll systems, and databases e.g. Google Drive, Paycom, SalesForce, Concur, Zoom. Exhibits grace and professionalism in handling competing tasks, demands, and deadlines. Demonstrates interpersonal competence and exercises wisdom and high level of discretion in handling sensitive and confidential situations and communications. (posted 11/27/18) – Philadelphia Korean Baptist Church is in search of a high energy and Christ passionate Youth Pastor. The youth group consists of 15-20 people aging from middle school to high school. Most of these kids have been attending our church their entire lives. Your main duty would be to prepare a sermon for Sunday service at 10:30 am. Other duties include attending activities that happen once a month. Preparation of papers and little office work should be expected. After service we all have lunch together upstairs in the cafeteria. Short bible study takes place after lunch and then we break. You will have a supportive group of 4-6 college students that will help you with all of these steps every week. Please reach out by phone or email. Thank you! (posted 11/26/18) – CLC Ministries USA is looking for a knowledgeable Accountant to manage our day-to-day accounting and finance requirements in a Christian environment as a servant leader. Trustworthy, confidentiality, excellent, accuracy, organizational and bookkeeping skills are important qualifications for this position, as well as good office relational skills, including the ability to communicate clearly. The ideal candidate for this position is a skilled multi-tasker, is reliable and is committed to consistently meeting deadlines. 20 to 30 hours per week. Current Accountant will assist with handover. Reports to the Finance Director. (posted 11/19/18) – Community Mennonite Fellowship, a congregation of 250 in Milton, PA with a contemporary worship, is seeking a male Lead Pastor to join our ministry staff. Applicants must be committed to preaching, teaching, and guiding people in a continually maturing relationship with Christ in accordance to Anabaptist values and with biblical passion. A complete job description and church profile can be viewed at www.cmfmilton.org. Submit resume to office@cmfmilton.org. Bachelor’s degree or 1-2 years of relevant experience and/or training, or equivalent combination of education and experience, required. One year of college-level Biblical studies, preferred. Must be passionate about teaching and demonstrating the word of God to children and youth. (posted 10/24/18) – First Presbyterian Church of Lancaster is seeking a full-time Director of Student Ministries. The dynamic individual must have a passion for assisting middle and high school students, and young adults, as they seek to grow in faith in Jesus Christ. The individual will foster a community of young people to be included and incorporated into all possible aspects of the church. Interested candidates should email a cover sheet and resume to openings@fpclive.org. (posted 10/4/18) – Cornerstone Counseling Ministries (CCM) is a non-profit Christian Counseling center located in Easton, PA dedicated to providing counseling services in order to offer help and hope to those in our community. CCM is looking to hire a Part-Time Administrative Assistant to provide administrative and office support by implementing systems, procedures and policies, and monitoring administrative projects. To apply or for more information please contact Maria Greco at MGreco@ccmeastson.com. (posted 10/2/18) – Our church is currently seeking a Youth Pastor to add to our pastoral staff. The candidate must be a motivated, high-energy individual with a pastor’s heart. He will be responsible for the entire youth ministry of the church, as well as general pastoral duties. Requirements include fulfillment of the Biblical qualifications for the office of Elder; agreement with the Doctrinal Statement of Calvary Bible Church and be submissive to the church’s constitution; not holding to a strict Calvinistic position on the doctrine of election; been baptized by immersion; Bible College or Seminary graduate; experience in youth ministry; musical ability would be a plus. Responsibilities include responsibility for the youth program of Calvary Bible Church (junior & senior high school); teaching the youth and the training of youth staff to assist him in this ministry; maintain a visitation ministry with the youth/families of the church; parent/teen counseling as needed; preach at the direction of the Senior Pastor and in accordance with his gifts; assist in the worship services at the direction of the Senior Pastor. For more information or to apply contact Senior Pastor, Dr. Howard D. Houtz at 717-248-5409 or howard@calvarybibleonline.org. (posted 9/7/18) – St. John Host Church, located in Host, PA, was founded in 1727 as a Reformed congregation. We are now a non-denominational church and part of the Evangelical Association averaging 35 people for weekly attendance. The mission of our church family is to show God’s love in such a way that people will exchange ordinary living for an extraordinary life by having a personal relationship with God through their faith in Jesus Christ. We are a family oriented congregation searching for a compassionate and caring person with a Bible college related or seminary degree or proven continuance toward that degree. We seek a person who will guide our congregation in its spiritual growth with the love of Jesus Christ in their heart and in their soul. Part time salary and benefits will be initially offered with the intention of growing the placement into a full-time position. Interested applicants should email questions, cover letters, and resumes to RogerY@kountrykraft.com. Website: http://www.hostchurch.org. We look forward to hearing from you. (posted 9/11/18) – Trinity Christian Church of Greater Philadelphia (TCCGP) is looking for a Pastor to lead the English Ministry (EM). TCCGP is a non-denominational ethnic Asian church. The EM pastor will shepherd the adults in the English Ministry and also oversee the Youth Ministry with the youth pastor and the Children Ministry with the Chinese pastor. Interested candidates should email resume to johnpau@verizon.net. (posted 9/20/18) – Evangelical Bible-based church in Scotland, CT is seeking a Pastor to replace retiring pastor of 37 years. Candidate must have pastoral experience, be committed to the inerrancy of Scripture, be gifted in preaching, and excited to pastor a mission-minded church. If seriously interested, send a short bio to Office@cfcscotland.org and you will be promptly contacted with an initial phone call. (posted 9/27/18) – We are eagerly looking for a Director for our new church preschool. The ideal candidate will have a passion for partnering with families to guide preschoolers to honor God by living like Jesus by offering a developmentally appropriate, biblically based education in a loving, safe and nurturing environment. This person will be able to relate well with preschoolers, staff and the parents of preschoolers from the church and community. Emmanuel Faith Community Church has grown from a few families to a weekly attendance of over 4,000. We have a variety of ministries designed to reach out to our community with the hope of the gospel and to grow together as a church family. We are grateful to God for a rich history as an independent, bible teaching church in inland, north San Diego County. Rev. Dennis Keating is the church’s Senior Pastor. We are very excited about the recent opening of our new Children’s Center with designated space for a weekday preschool that we anticipate launching in the fall of 2019. While we prefer a director who possesses a bachelor’s degree, candidates for this position must possess 12 or more semester units of early childhood education and 3 or more units of administration in addition to California certification as a Preschool Director; must have 4 years of early childhood teaching experience including 2 years of supervisory experience as a director, and must possess a solid understanding of how preschoolers develop. Candidates must endorse the Emmanuel Faith Community Church doctrinal statement as presented in our constitution and bylaws. The abilities to lead, communicate and administrate with a heart for God and children are essential to this job. Resumes are being accepted now with a view to filling the position by December of 2018. All inquiries regarding this position should be emailed to: Alanna Dunaway, Human Resources Director, Emmanuel Faith Community Church, 639 E. 17th Ave., Escondido, CA 92025. E-Mail: adunaway@efcc.org; Web Site: www.efcc.org. (posted 8/6/18) – Covenant Church seeks a full-time Student Ministry Associate to work in cooperation with our Student Pastor to build a dynamic and healthy Student Ministry; serve as a leader, working within the church’s vision for the overall growth of Student Ministry through discipleship and outreach to new students; seek to creatively implement vision in a way that is relevant for the student population in order to engage, enfold and equip students. Qualifications include heart and passion for students; 2+ years of experience working with students; 4-year college degree (or close to completion); exceptional relational skills; proficient organizational, follow-through, and computer skills. For more information or to apply, please forward your resume to Brady Rennix, Student Ministry Pastor (BradyR@covenantdoylestown.org). (posted 8/6/18) – Currently accepting applications for the Youth & Family Director position at St. John Lutheran Church in Blue Bell, Pa. We are seeking an individual to lead, guide and grow our children and youth ministries. Responsibilities would include: leading the Sunday School program for our children and youth, overseeing the youth ministries of both Middle School (6-8th) and High School (9-12th) groups, coordinating the finances of children and youth ministries, supervising fundraising efforts for both groups, communicating on multiple platforms with the Pastor, staff, Council, congregation and families of the youth, recruiting volunteers and overseeing the care of the volunteers before, during and after their times of service, and coordinating with Pastor seasonal events. Maintain relationships with youth and their families with verbal and written communications. Pay attention to details, organize, keep records, meet deadlines and handle multiple tasks simultaneously. Develop excellent working relationships with peers, supervisor and church members. Work in a self-directed but collaborative manner with supervisor, peers, volunteers and church members. Strong computer skills using the Internet, Microsoft Office, etc. Climb a ladder, lift up to 40 pounds, work in a variety of weather conditions for extended periods of time, play high energy, physical games with children and youth, stay up all night as a supervisor for lock ins, and maintain an enthusiastic presence during programs and events. Prior experience working with children and youth as an adult is strongly preferred. We are looking for an outgoing, energetic person with a heart for youth and family ministry and a strong desire to build a program here at St. John. Must be able to provide three references, and satisfactorily complete the necessary background checks and tests as required by our Employee Handbook. (posted 8/13/18) – True Light Church is seeking a part-time High School Pastor who can align with the church’s vision statement and minister to the high school students. Our vision is to “illuminate God colors in the world” and our mission is to “create a church where unchurched people love to attend.” The total church average attendance is 450 with 60 youth group students. The pastor will shepherd 30 high school students. Responsibilities include Sunday preaching, Friday meetings, and visitations; planning and organizing retreats (spring & winter), summer mission trips, and other activities geared towards high school students; provide spiritual leadership and pastoral care to students and teachers; work closely and meet with pastoral staff and lay leaders in fulfilling True Light’s vision; monthly staff meetings. Qualifications include MDiv (or working towards) from an accredited seminary; heart and passion for youth students and the local church. (posted 8/21/18) – Community Fellowship Church is looking for an experienced part-time Men’s Ministry Director to join our staff on a journey to advance the mission of God in our world. CFC is a suburban congregation of over 800 located in Lancaster, PA. Modern worship and biblically-based preaching characterize our three worship services. In an effort to make committed followers of Christ, CFC has a strategic plan aimed at advancing a missional mindset while promoting biblical literacy and healthy community. capable of expanding His kingdom. Requirements include having a proven track record of achievement in ministry; demonstrated initiative as a mobilizer and trainer of volunteers, able to thrive in overseeing multiple projects simultaneously; spiritually and emotionally mature; exceptional interpersonal, verbal and written communication skills, as well as the attitude of a life-long learner; well-versed in contemporary culture, trends, and men’s ministry models; an experienced teacher with a passion for the Word of God; an create a strategic growth plan that aligns with the direction of our church; a bachelor’s degree. Submit a cover letter, resume, and brief testimony as one electronic file to employment@communityfellowship.com. (posted 8/23/18) – Peninsula Covenant Church seeks a full-time Community and Gathering Pastor. The Vision of PCC is to see 10% of homes in our city centered on Christ by 2025. We know we cannot do this alone, but our commitment is to see 35-50 (3 people per home) new homes centered on Christ each year through our multi site experiences. As the pastor of one of Central Ministry Campus gatherings, you will lead the charge to Infuse the hope of Christ into the most influential region in the world. The Community and Gathering Pastor serves as vision champion, gathering team leader, and gathering shepherd. (posted 7/16/18) – CLC Ministries is looking for a knowledgeable Bookkeeper/Accountant with experience in a non-profit organization to assist managing our day-to-day accounting and finance requirements in a Christian environment as a servant leader. Trustworthy, confidentiality, excellent organizational skills and accuracy are important qualifications for this position, as well as good office relational skills, including the ability to communicate clearly. The ideal candidate for this position is a skilled multi-tasker, is reliable and is committed to consistently meeting deadlines. 20 to 30 hours per week. Reports to the Finance director. Requirements include agreement with CLC’s statement of faith; 5+ years’ experience working in accounts; knowledge of accepted accounting principles and experience with data entry; record keeping and computer operation; proficiency in Microsoft Office, Excel and QuickBooks; experience related to payroll; experience in audit and international accounting. Preference for CPA certification or equivalent experience; prior work with a Christian nonprofit organization; familiarity with fund accounting. For more information or to apply, contact personnel director Jeanette Van Veldhuizen at jeanettev@clcusa.org or 215-542-1242. (posted 7/19/18) – The Salvation Army of Milton, PA has an opening for a Youth Ministry Assistant, who would support the Corps Officer with reaching out to youth in the community and assist the church in developing new youth programming, as well as meet with prospective youth in the community. Must have an understanding and appreciation for The Salvation Army Mission Statement. The Youth Ministry Assistant will be in charge of gathering volunteers for youth programs and will be the primary contact for youth leaders. Part-time, 20-29 hours per week. Must have 2 or more years of experience in working with youth. The person holding this position must be(come) a uniform wearing Salvationist and become an active member at the Milton Corps. A minimum of an Associate’s Degree, or work related experience. Must have sensitivity to working families from all walks of life. (posted 7/19/18) – Lancaster Bible College Philadelphia Site is seeking qualified candidates for the position of Adjunct Professor in the Bible and Theology Department. Lancaster Bible College’s Mission is to “Educate Christian Students to think and live a Biblical Worldview and to proclaim Christ by serving Him in the Church and Society”. Our Philadelphia campus is growing in enrollment, and we seek to have qualified instructors to fill the need of engaging our growing undergraduate student population with the college’s mission. The Bible and Theology Department serves as the primary influence of shaping students’ Biblical worldview for a career in several vocations in addition to church ministry (read more about Department Objectives and core classes). Preparation of syllabus and teaching of curriculum according to the goals and objectives of the department. Participation in two departmental meetings and two faculty campus-wide meetings per year. Determine student mastery of material and assign final course grades from evaluation of tests, quizzes, homework, and other assignments and activities related to course material. Consult with program director for course development strategies in response to an annual class visit and evaluation by the program director. Must have at least an MA in Biblical/Theological Studies. Preferred experience includes teaching at the college or university level. The ability to work with adult undergraduate students in an inner city context. A demonstrated, vibrant Christian faith compatible with the mission of Lancaster Bible College. Demonstrate an understanding of both Narrative and Systematic Theology, with an ability to implement critical thinking strategies in classroom and assignments. (posted 7/19/18) – River Street Baptist Church in Oneonta, NY is looking for a Pastor to conduct pastoral duties. Our congregation is small, with mostly retired people who enjoy fellowship and have genuine affection for others. We are a close congregation that help one another. The pastor that the Lord sends us must know that there is work to be done and a church to grow, particularly with the youth. He must teach biblically based doctrines in his messages, as well as by his life. We provide a three-bedroom parsonage and salary. Our church is an independent Baptist Church and was incorporated in 1922. A new constitution was accepted in January 2018. We are almost debt free, but the church is currently in need of additional repairs. Renovations to the parsonage occurred in 2014. (posted 7/24/18) – The Director of Finance is responsible for financial health of CLC, providing financial oversight and stewardship of the ministry resources to maximize the use of available funds. They will produce and review financial reports, monitor accounts, develop strategies and plans for the long-term financial goals to aid management in making sound financial decisions. They will oversee the coordination of cost controls and accounting. 8 to 16 hours per week. Qualifications include agreement with CLC’s statement of faith; minimum of a B.A Business, Finance or Accounting, ideally with an MBA/CPA or related degree and 5+ years accounting and supervisory experience; proficiency in Microsoft Office, Excel and QuickBooks; excellent organizational, problem-solving, project management and communication skills; desire to work in a ministry capacity as a servant leader. Preference for candidates with prior work with a Christian organization and experience supervising administrative professionals. (posted 7/27/18) – MOMentum Coworking and MOMentum Kids Club located in Dresher, PA are in search of a Director of Aftercare, Group Supervisors and Infant Caregivers. Hours are Monday, Wednesday, Friday 3:30-6 pm and Tuesday/Thursday 9 am-6 pm. Programs are offered in partnership with Jarrettown United Methodist Church and New Life Presbyterian Church in Dresher. Requirements include 60 credits in education, human development or related field and childcare experience, clearances and CPR/first aid. Email resume’ and availability to info@momentumcoworkingwithkids.com. More info available at www.momentumcoworkingwithkids.com.